Emerald Creek Craft Supplies - Easter Canvas and DIY Enamel Embellishments! Hi friends! I'm so excited to bring you my first Design Team post for the Emerald Creek blog!! Emerald Creek is an amazing Canadian company who ships internationally with fabulous stamps, metal embellishments and more, but one of their most amazing products is the embossing powders they make! Our theme this month is Easter, so I decided to create a gorgeous Easter Canvas using the beautiful stamps and powders and some diecuts and stenciling. Today I'm sharing two videos - the first is a look at how to make some beautiful DIY Enamel Embellishments using the Baked Texture Vintage Beeswax Embossing Powder. This is part of a new release at Creativation in January and is a collaboration between Emerald Creek and Seth Apter of the Altered Page. You will not be disappointed when you play with these powders! Here's a look at the video where you can see the process I use to create several DIY Enamel Embellishments that would be perfect on any type of project! I coloured the stamps with Prismacolor and Hobby Color Markers, both alcohol based before adding the Vintage Beeswax Embossing Powder. This little raccoon is so sweet!! I love how the the embossing powder creates such a cool coating on top and on the edges of the stamped images. The embossing powders come in such a wide variety of colours and textures. I love the glossy effects! I used the Distress Resist Spray and a sunray stencil to adhere the Charred Gold embossing powder - so fun! One of my favourite things about this canvas is the way the Easter eggs turned out using an embossing folder, different coloured powders and covering them all with Fractured Ice embossing powder! And, I love the little fairy tucked in ;) This beautiful Lily stamp would be the perfect addition to any Easter and Spring card as well! Thanks so much for stopping by today! Be sure to check out the Emerald Creek Shop and the Emerald Creek blog for lots of inspiration and ideas, and have an awesome week!! 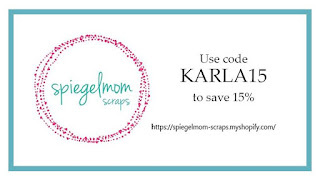 SpiegelMom Scraps - What's Happening on Instagram! Hi friends! Today I'm sharing a couple projects that I've featured over on the SpiegelMom Scraps Instagram feed. First up is a pretty layout 'In The Spirit' using lots of lovely papers and ephemera from the Paige Evans Pick Me Up collection. Our team was scraplifting this week and I used our fabulous Guest Designer Lina Monaco as my inspiration. And next up is a fun shaker card using the Lawn Fawn Claw-some stamp set that I watercoloured with Distress Markers. 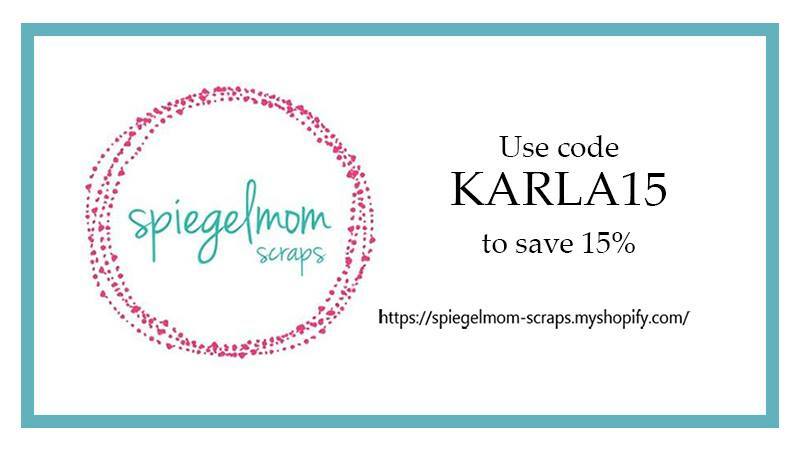 Don't forget to use the code KARLA15 to save 15% off your purchases at the SMS Store! Thanks so much for stopping by today! You can check out all the details on the Layout HERE and the Card HERE. Wishing you a happy, crafty week!! Kitty Bee Designs - I Heart Unicorns Panda Gatefold Card! Hello! I'm sharing this neat gatefold card over at the Kitty Bee Designs blog today using the sweet Kitty Bee Designs - I Heart Unicorns Panda digi image. I just love that this adorable panda is wearing a cute little t-shirt! Unicorns are so popular right now too, so I thought a bright, flowery card with a magical sentiment inside would just be perfect. I coloured her up with coloured pencils and used a Spellbinders Nestabilities die to cut out the image. 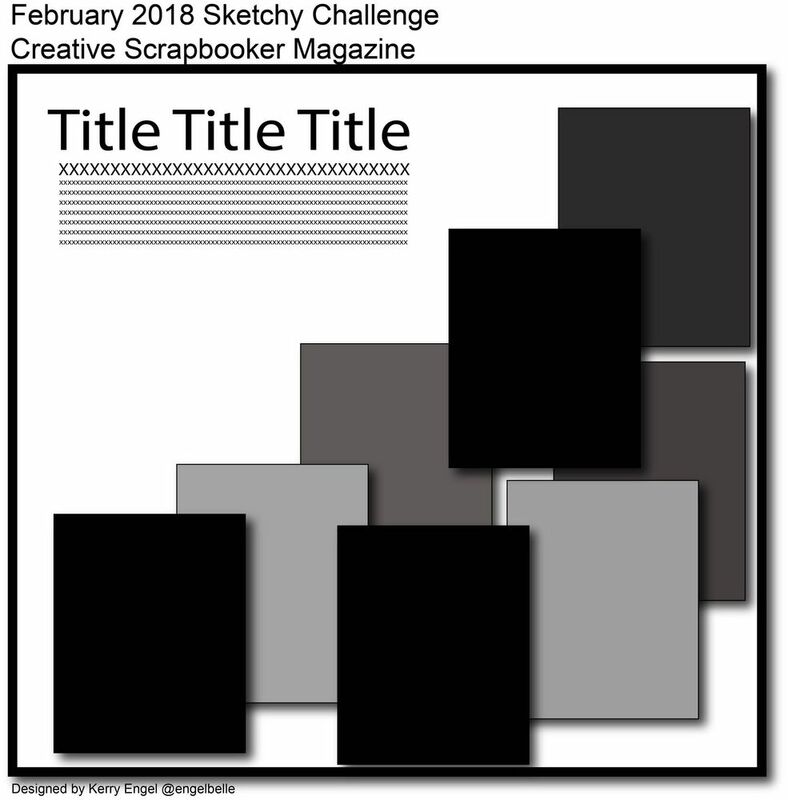 Since I created a gatefold card I chose to use a ribbon to provide a closure and layered it around the card and in between the image and the black border. I added some sparkle gle pen to the heart and her little hair clip and then added some Glossy Accents to both of those as well as her eyes and nose. I used some My Mind's Eye papers and the diecut rainbow/star from the SCT Sampler Pack I just got full of fun little samples of papers and crafty goodies. (check out the unboxing of the pack HERE) I added a sentiment from the Waffle Flower Stitched Unicorn stamp set, creating an ombre stamped effect with Distress Oxides and my stamp press. I used gems and pretty SpiegelMom Scraps sequins to both inside and out for just a touch more magical bling! 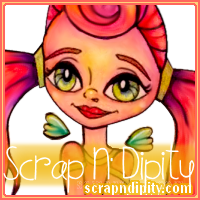 Scrap 'N Stamp - Side Order Blog Hop! Today I'm using the Side Order of Love set to create a beautiful summery wedding card! These are adorable little sets that come with some mini dies and a coordinating embossing folder. You can use them in the Tim Holtz Side Kick or in your regular diecutting/embossing machine. I used my Cuttlebug for my project, but I'm really tempted to get that adorable Side Kick ;) Scroll down to see close up photos and a link to my Process Video below where I have a tutorial to create this Double Z Fold Card. This wedding image from the Tim Holtz Paper Dolls pack was just right to add to the front of this card! I coloured in the flowers to make them pop. The Emerald Creek Northern Lights embossing powder created a cool resist on the tag that I embossed with the mini heart embossing folder included in the set. I added some Tattered Angels mists to the background and then layered on the adorable envelopes cut from the dies. I used the Love die to cut the sentiment a few times and stacked them to create a chipboard-look. I used a pretty Kaisercraft paper pad to cover the folds - I love the soft colours! Here you can see what it looks like when it's opened up. I have a spot to write a message and even added a little envelope on a paper clip, which would also be perfect for a planner! Aren't those Tim Holtz Small Talk stickers sweet!! Inside I stamped a greeting from Your Next Stamp. I love the little heart candy box! And don't forget you can use the heart and bow separate - so many possibilities. 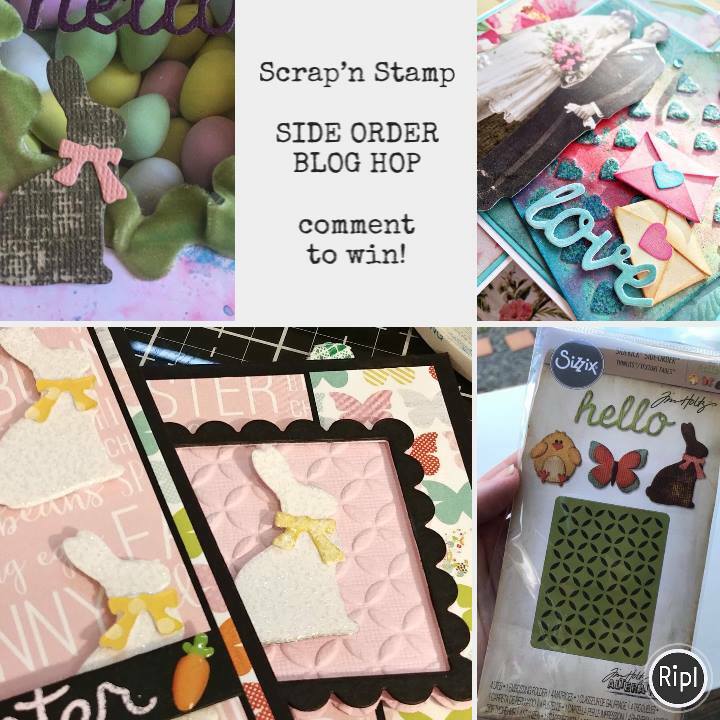 Scrap'n Stamp is giving away 3 Side Order Sets! So make sure to take a moment to comment on all the designers' fabulous work before April 2nd. Winners will be announced April 4th and must email Scrap'n Stamp to claim their prize! GOOD LUCK! This prize is open internationally. Thanks so much for stopping by today! Be sure to head over to Nancy's Blog next to see her beautiful project - and you can check out the Tim Holtz Side Orders at the Scrap 'N Stamp store. Have an amazing, crafty weekend - and good luck on the giveaway! Kitty Bee Designs #114 - Baby! Hi Friends! I hope you've been having a lovely week so far! I've had lots of fun creating projects lately and here's one more for you! It's time for the midweek inspiration for Challenge #114 over at the Kitty Bee Designs Challenge Blog - Aloha Friday! Today, I'm using an adorable digi image from the Kitty Bee Designs shop - Gello Giraffe Toy as a focal image for this sweet baby card! I printed this cute giraffe out onto kraft cardstock and then cut him out with a stitched circle die. I picked up some Gamsol a while ago and wanted to try it out with my Jane Davenport Magic Wand coloured pencils, and I'm excited about how it turned out! I used some paper stumps from Michaels to apply the Gamsol and blend the coloured pencils. There are lots of tutorials on YouTube, and it's a fun way to change up some of your colouring techniques. Inside I added a sentiment from Your Next Stamp, stamped with Mermaid Lagoon Distress Oxide Ink for the Congratulations and Black Archival ink for the rest of the sentiment. I layered on some Canvas Corp papers and added some floss, a flower and a button along with a few sequins and some bling to finish it of. Make a project using anything Easter related. But there has to be a least one cut from the Cricut Library! Today I'm sharing a cute Easter card using the Stretch Your Imagination Cricut cartridge and the darling Easter Eggs In Grass SVG file from our sponsor Printable Cuttable Creatables. 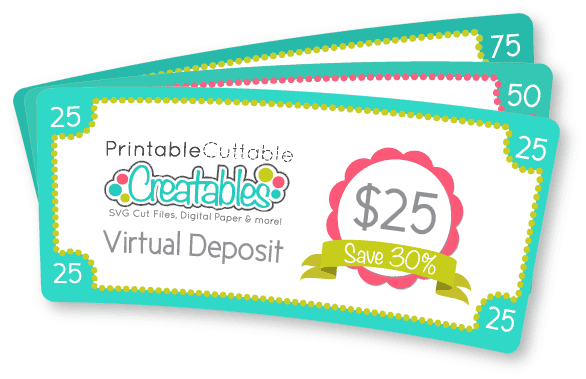 They have the cutest files and a new FREEBIE file every week! I used various paper scraps from my paper stash for the diecuts and pretty papers and ribbon from a BoBunny ephemera pack. I used some Distress Oxide Inks to edge my diecuts and added little rosy cheeks to my bunny. The pretty SpiegelMom Scraps flower sequins add a bit of bling! Inside, I added an oval diecut using a Sizzix die and added a couple more of the PCC Eggs. Thanks so much for stopping by today! Be sure to head over to the Fantabulous Cricut Blog to see what all the other designers have come up with for this challenge - and enter your own for a chance to win a prize from our awesome sponsor - Printable Cuttable Creatables! Have a wonderful week ahead. 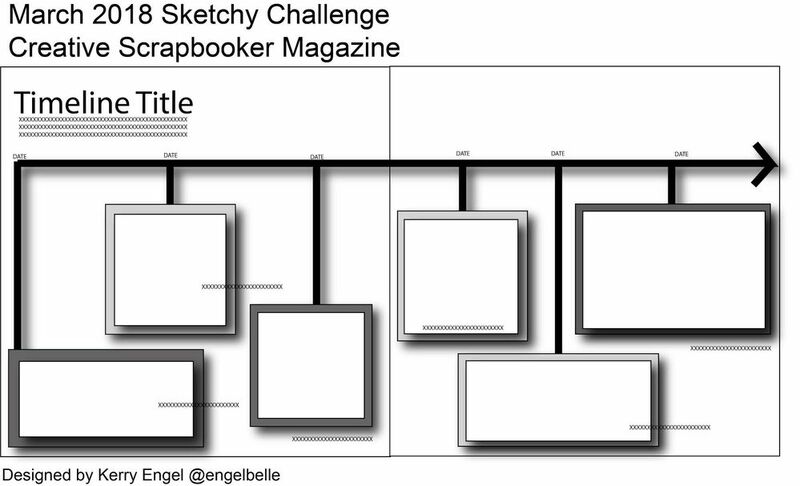 Scrap Shotz March 2018 Kit Club Layout - I Am Strong! I used my iPhone to take photos of my old pics and then printed on my Canon Selphy printer. I'm really enjoying this printer for on the go prints! Making some layouts about myself was such a great way to reflect on my life and be so thankful for all the blessings I have! Thanks so much for stopping by today! 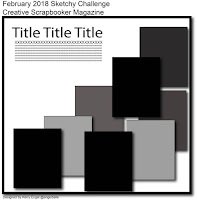 Be sure to check out the Scrap Shotz blog for all the details and closeups and the Scrap Shotz Store to find the March Kit. Hoping you have an awesome week! Scrap Shotz March 2018 Kit Club Layout - I Am Loved! You can check out the Process Video HERE or click the link below to see how I created this page. Thanks so much for stopping by today. Be sure to head over to the Scrap Shotz blog to see all the closeups of this page. You can find this kit in the store HERE as well as the wonderful add on's available that also coordinate with it! Wishing you a fabulous and creative weekend!! Unboxing the Scrap Shotz March 2018 Scrapbook Kit - Simple Stories I Am! Thanks so much for stopping by! Be sure to check out the March 2018 Kit in the Scrap Shotz Store and don't forget about the fantastic add on's available too! I'll be back tomorrow with a fun project using this kit, and I'd love to see you again! SpiegelMom Scraps - Fox Birthday Wishes! FCCB #321 - St. Patrick’s Day!